Education - Lava Computers MFG Inc.
Tablet Kiosks enhance students’ knowledge retention & improve classroom efficiencies. With a range of benefits for students and teachers alike, interactive tablet kiosks promote learning, increase educational accessibility and overall efficiency in educational institutions. 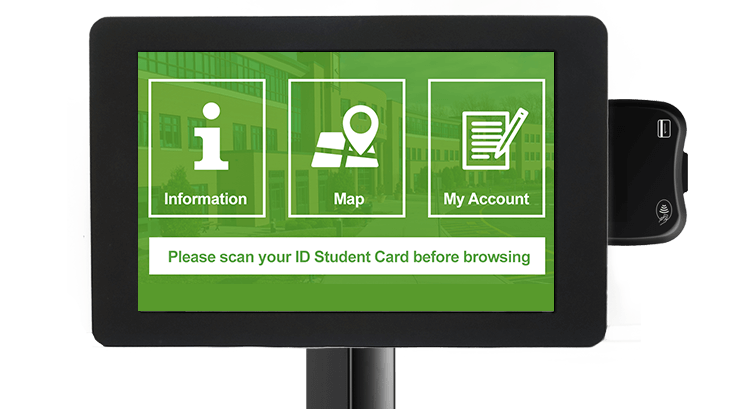 From online book ordering and class way finding to room reservations and announcements, tablet kiosks are transforming the way students interact and learn. LAVA Kiosk with a Samsung Tablet provides a complete solution for many common applications in education.